These high-fired ceramic cereal bowls are made locally and are built to last. 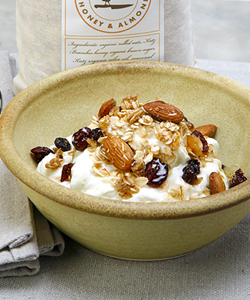 They are lead free, microwave and dishwasher safe and are a perfect match in the morning for our KATZ Honey and Almond Granola. Each bowl has an individual oatmeal colored 'patina'...form and function never looked so good.